Raymarine, owned by Flir Systems, Inc. recently launched their latest product offering to the world. This included some brand new, completely rethought Multi-Function Displays, a new suite of software, and for the first time, Thermal Imaging cameras by Flir Systems, which have price points that are affordable for the leisure marine industry. I was invited to Lake Maggiore, Italy to see these products in action and take them for a test drive. An Axiom Display with Radar View showing tracked targets circled in red. 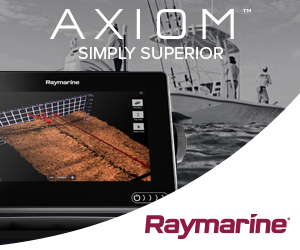 Raymarine’s latest family of Multifunction Displays (MFDs) are known as the Axiom line of displays. These displays are just gorgeous. They feature a full glass, multi-point touch screen, with no physical buttons anywhere. The displays are, naturally, fully waterproof, and respond well to touch input, even when wet. The new displays obviously require new hardware, and Raymarine has packed a powerful quad-core processor into the displays to handle the power-hungry requirements of processing their new RealVision 3D Sonar technology. It also allows a very smooth, fluid interaction with the display, with minimal lag between input and action. Just about anyone who is going to use one of these displays will have used a smartphone or tablet in their life. With this knowledge, Raymarine has completely redesigned the User Experience, drawing on trends and standards often seen on Smart devices. I particularly enjoyed what they call ‘LiveView Menu Controls’. In effect, when a user is editing menu settings and how the chart is displayed, a mini view of the chart is displayed, where the user can see the changes they are making in real time. This is great, as often menu settings are buried, and users don’t know what affect their change has on the display. With this feature, the user can always see what’s happening. Menus are also simple and uncluttered to begin with – and only the essential options displayed. However, ‘Power’ users can quickly access more in-depth and complex menus with a few taps on the screen. Again, a great feature that makes the operating system and menu far less intimidating. For years one of my pet hates has been having to zoom in using plus and minus buttons, or having to pan using a terrible four-directional arrow that never really goes where you want it to. With the Axiom display, navigation around the chart display is simple, using your fingers. To zoom in and out, one simply uses two fingers to ‘pinch’ the display. Panning is done by dragging your finger around the screen. The navigation is the same as that which is found on Google Maps on a smartphone. Lighthouse 3 also allows for multiple user profiles, each completely customizable. This means that if the boat has multiple skippers, each can set the unit up to their preference. Or the watch crew can set up their profile, and simply change it when they come on deck. What is displayed on the chart is also changed at the touch of a button. 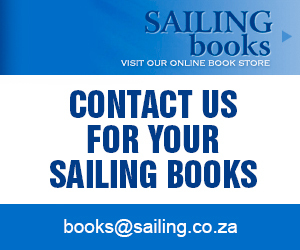 The user can choose to have the chart geared towards sailing, or fishing or one of the other options available. They can also choose to have a ‘detailed’ chart with lots of information or a cleaner, ‘simple’ chart display. All these new Axiom processors come with RealVision 3D sonar technology built in. As sailors, we get less excited about sonar and fishfinders, but I found this rather intriguing. Normally, looking at sonar pages doesn’t mean much to me, however, with Raymarine’s RealVision 3D, I was immediately able to pick up what we were looking at, and what the sonar was seeing. The sea floor and it’s profile was drawn, above that various objects that were picked up were drawn on, with the colour coding changeable between strength of return signal or size/depth. The RealVision technology gives a clear view of what’s below, behind and to the sides of the boat (up to 100m left, right and below). Tapping on the display in the 3D view allows the user to quickly set a waypoint to be able to return to the point of interest. The Axiom displays cost between US$650 and US$3350, depending on the size of the display, and whether you purchase a new sonar transducer. An Axiom display and M200 camera. The Axiom display is showing Raymarine’s ClearCruise Thermal Analytics having identified a vessel with the thermal image function. Prior to the event, when I was researching what would be on display, I was most excited to see the new Flir M100 and M200 cameras. Flir has been making thermal and night vision technologies for over 25 years. Their products are mostly found in the military and search and rescue (Coast Guard) environments. This is mostly due to the price point at which thermal cameras come in at. However, recently Flir has made a breakthrough with their latest M100 and M200 cameras, which they are able to offer at a price point affordable to leisure boat owners. The M Series of cameras are IP (internet protocol, so only a network cable is required) cameras, which makes installation and interfacing very easy. 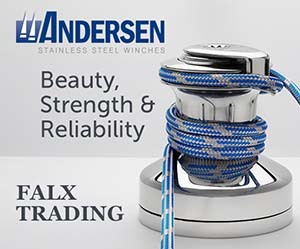 While obviously fully compatible with the Raymarine Axiom displays, the fact that they are IP cameras makes them compatible with any third-party application such as a laptop or existing local network on the vessel. Thermal imaging is obviously very cool on its own. For example, we were out on the lake late at night using the thermal cameras, and it totally changed the way we saw things. The coastline was perfectly shown, as were boats that were moored on swing moorings. However, where the M series cameras really come to life is when they are coupled with Flir’s ClearCruise IR Analytics technology. The ClearCruise analytics processes the thermal images received from the camera in real time, and is then able to provide feedback about what is seen. For example, while we were motoring along at night we passed close to a known wreck on the lake, which is marked with a series of small buoys. These buoys gave off a different thermal signature to it’s surrounds, and thus the ClearCruise analytics was able to identify these and draw a yellow box around each of these buoys, alerting the user to their existence in the blink of an eye. Further, to simplify identification, the user is able to have the thermal camera track the ‘target’ that is acquired. Targets can be acquired in a number of ways, and aren’t limited to just the thermal camera. Part of the ClearCruise solution includes analysing the radar screen. A user is able to acquire and track a target found on radar. When this target is tracked, the thermal camera will ‘follow’ this target until told not to, allowing the user to thus see what the radar has picked up. Obviously, the thermal camera range is nowhere near that of AIS or Radar, and is heavily dependent on the sea state and prevailing conditions. The main difference between the M100 and M200 is simply the ability to pan and tilt, as well as the 200 having the ability to zoom 2-times, digitally. The M100 has only the ability to tilt up and down, while the M200 has full 360 degree panning built in. Controlling pan and tilt from the Axiom display is done simply by dragging the display around with your finger. Both feature a resolution of 320 x 240. While you may think this resolution is an issue, I can assure you that as far as thermal cameras go, it is adequate. 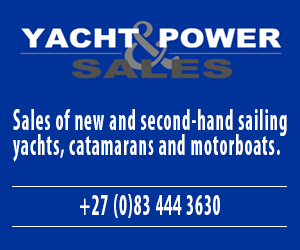 This new equipment is cutting edge technology which has thrust Raymarine instruments into a new stratosphere despite always having been at the top of its game and being an industry leader. 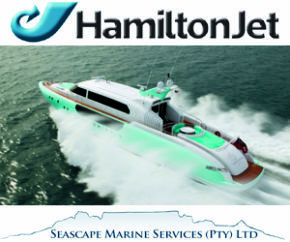 Supplied & Serviced in South Africa by MDM Marine Services.